A Wine Guy's Blog: Iced Tea and Beer, is this really Necessary ? Iced Tea and Beer, is this really Necessary ? A couple of weeks ago I was driving along Broadway and noticed a huge billboard advertising Coors Light Iced T and initially thought it was a prank. But no, it appears that Molson-Coors are, in fact, spending a great deal of money and time launching their new Summer Beverage Concept mixing together two summertime faves, Iced Tea and Beer. Really ? Really ?? Have we gone so far that we need Iced Tea and Beer mixed together ? I mean I understand the effort to create a new market segment and try and attract some non beer drinkers into the breweries cash flow. Beer sales overall in North America have declined each of the past three years, and the market has also segmented as people move away from the big breweries and embrace craft brewers . Sales of Craft Brewing beers are almost 17% of the US market, I couldn't find exact numbers on the Canadian market but in British Columbia the craft brew market share is around 13%, so the combination of less beer being sold and more of that beer coming from smaller breweries means trouble for the big Industrial Breweries. Here's an idea, rather than mix beer with Iced Tea, or Lime and mint, why not just make better beer ? The main reason why the big breweries are losing market share is that their products just aren't very good and people would rather pay more for real beer, as evidenced by the shift to craft breweries and their products that focus on quality and taste rather than lifestyle. Molson has acknowledged this in the past by purchasing Creemore Springs Brewing and Granville Island Brewery in the past decade but the Coors Light Iced T seems to be a step in the other direction. I haven't tasted the Coors Light Iced T, and am unlikely to, but I can say for certain that in all my years of drinking I have never once heard anyone say: "Hey, I really wish I could get a low calorie Iced Tea flavoured beer right now". As for the potential success of the brand, maybe it works but does anyone remember Zima ? 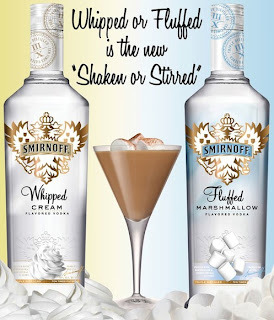 As an interesting side note, while doing some research for this post, that's right smarty I did some actual work, I discovered that Smirnoff make a vodka that is flavoured with Fluffed Marshmallow, apparently it goes great with their Whipped Cream flavoured vodka. Armageddon my friends, Armageddon. 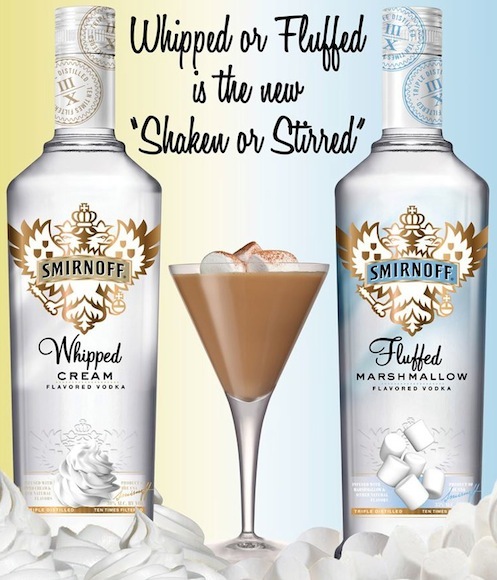 The four horsemen are coming, and they're drinking Whipped Cream Fluffed Marshmallow Martinis washed down with Coors Light Iced T.
Hearts win !!! Hearts win !!!!! !